A proponent of nuclear power who became a victim of the disaster. It was in 1967 that I joined Japan Atomic Power, a power company which specializes in nuclear power. Later, I alternated between working on site and at the headquarters, mainly focused on the fields of safety administration and training, and I also had experience with negotiations of local governments and residents, and public relations. I had become a member of the Japan Atomic Industrial Forum a few years ago, and my professional life was truly focused entirely on the promotion of nuclear power. I built a house in Tomioka in the eastern part of Fukushima Prefecture called Hamadori 13 years ago, and there I intended to spend the rest of my days. 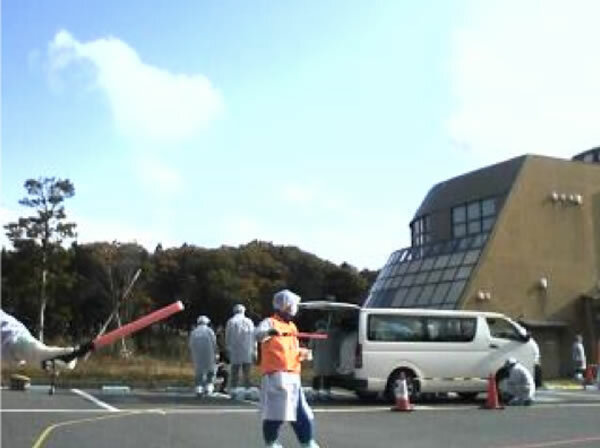 However, it became an evacuation zone after the accident at Fukushima Daiichi Nuclear Power Plant last year, and I was suddenly forced to evacuate, fleeing to the neighboring village of Kawauchi with nothing but the clothes on my back. However, within a few days I was driven from there as well, and entered the large evacuation shelter in Kooriyama city, where I experienced the daily routine of “sweet buns, rice balls and bottled water at every meal.” Even now, a year and a half later, I am still evacuated to housing in the Sukagawa suburbs in Kooriyama City. During the trying course of the evacuation, along with being awakened to the reality of the nuclear disaster, the questions, “Why did this sort of accident happen in Japan? Why were the disaster prevention measures and the care for the residents afterward so haphazard?” never left my mind. What I came to see was a precarious nuclear policy that had continually put off dealing with the root issues, the excessive leniency of those involved who simply went through the motions, the remoteness of the existence of the power plant to both the central government agencies and the company headquarters, and local governments and residents who were eager to profit yet totally unprepared for a state of emergency. In the case of the accident at Fukushima Daiichi Nuclear Power Plant, the circumstances of the suffering faced by the workers and residents were somewhat different from that of the Chernobyl nuclear disaster. No workers were exposed to lethal doses of radiation, nor is it likely that any residents received radiation exposure sufficient to cause negative health effects. However, there were many who required nursing care that died following the evacuation, suicides that are still appearing a year later, blunders in evacuation orders and designation of evacuation zones, and confusion over food safety standards. Planting on farmland has been postponed and immense financial losses were incurred due to radioactive materials travelling further than expected and misinformation that levels exceeded national standards even outside of the Touhoku area. 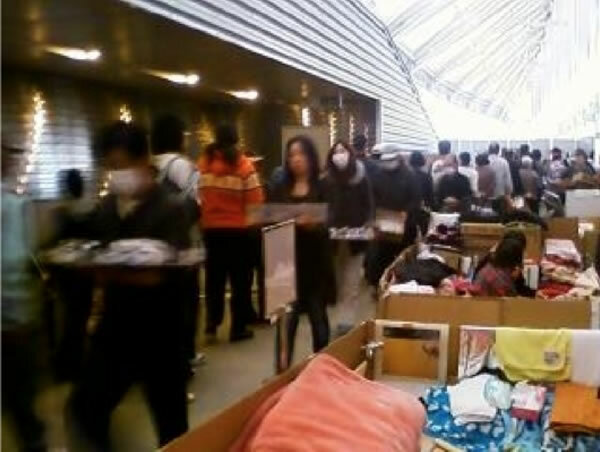 In coastal areas they were unable to conduct searches for victims of the tsunami. Discharge and leaking of contaminated water into the ocean caused losses for those involved in the fishing industry, and continues to do so still. The majority of the hazard area centered on the town of Okuma has become an uninhabitable zone for the next several years, and many residents have given up their intentions to return. This is equivalent to a portion of the nation’s land being rendered useless, whether it is farmland, forests, mountains or residential land. The decontamination efforts, with a government target of one millisievert per year, are fraught with uncertainties about their effectiveness, and are expected to constitute an enormous expense. Among younger residents, some have taken their children and evacuated as far as up north Hokkaido or down south Okinawa. The fears of radiation were extreme to the point that even residents of Kooriyama, where I had evacuated to, chose to evacuate to other prefectures. It appears that these fears were caused by a complete lack of knowledge or experience regarding radiation. The greatest damage was to those who had their hometowns and rural lifestyles taken away from them. It is a loss of something priceless. It is no simple matter to rehabilitate the image of Fukushima, either. There are fears over radiation, the unfinished recovery from the disaster, the incomplete decontamination and restoration of the infrastructure, and a lack of places to work. Due to these issues, even in areas where the evacuation zone has been lifted, the return of residents is not proceeding as expected. One must understand that this is the reality of the nuclear disaster. Haphazard government administration and disaster prevention measures by the power companies. First, because the off-site center failed, being unable to perform its function, it is hardly worth consideration. This is supposed to be a facility into which a vast amount of funding was invested in order to respond to accidents, presupposing that a disaster would occur. However, in actuality, it served no purpose whatsoever. Local government officials were enraged by the lack of communication from the national government, but one would expect that they would acknowledge their own lack of preparedness. The media, who reported indifferently on disaster prevention drills based on overly-optimistic scenarios, had not the least inkling of awareness of the issues. Roads in coastal areas were destroyed by the tsunami, but we must be aware just how fortunate it was that in spite of the massive earthquake, the main roads into the mountains were almost entirely unobstructed. We must recognize that if there were a power outage, it would be impossible to maintain supplies of gasoline, and if they were to flee into the mountains, even the means to communicate would be lost. Although the populations are small in comparison with cities, there were no buses to be found in any of the municipalities aside from the two towns of Okuma and Futaba, for which the national government prepared buses, and during the evacuation the large number of private cars caused a massive traffic jam. When one lives the life of a refugee as long as this, a disaster victim’s interest focuses on compensation. However, the compensation system used by TEPCO has met with an extremely negative reception. The majority of those who evacuated are still in temporary housing, and despite the occurrence of suicides due to the stress, they created this cold and thoughtless rule. From the start TEPCO limited claims, and it has not disclosed standards for payment of any kind. When a claim is made, it is assessed based on a maximum amount that they arbitrarily decided themselves. Their attitude of “If you don’t like it, take it up with the Dispute Resolution Center,” can hardly be construed as working with the disaster victims. There has still been no response regarding compensation for the real estate abandoned in the evacuation zone either, so those evacuees hoping to rebuild their lives somewhere new are unable to make plans. Their statement that “compensation payouts will be made with courtesy and compassion,”sounds hollow. The day the new CEO hopes for when people say that “TEPCO has changed,” does not seem imminent. Perhaps that is because they are as deaf as ever to the voices of those in the disaster areas and those of their customers. The so-called “Japan’s nuclear power village” community making decisions and moving forward on its own has resulted in nuclear power development that lacks the necessary caution and balance with society, and merely keeps up appearances for the sake of formality. With the dichotomy between proponents and detractors, neither side was able to consider things from the perspective of the other. As a result, the crucial power plants themselves and the safety of the residents were forgotten. Were the three principles not created because of “fear of development that violated the three principles” at the time when the peaceful application of nuclear power first began? As someone who has lived within the world of nuclear power, that this accident occurred is regrettable and unacceptable. Should those people who have been involved with nuclear power not look back on all that has happened and have something they must say? Toshiro Kitamura: Born in Shiga Prefecture in 1944. 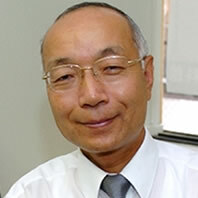 After graduating from the Keio University Faculty of Economics, Kitamura joined Japan Atomic Power, Inc. in 1967. His duties alternated between the headquarters and sites including the Tokai Nuclear Power Plant, Tsuruga Nuclear Power Plant and the Fukui office, later serving as head of the president’s office and team leader of the direct management promotion project. Kitamura was primarily involved with labor safety, employee education, local support, personnel management and work under direct management. He made several reports on safety administration and personnel training in nuclear power plants, both in Japan as well as to the IAEA and ICONE, based on his wealth of firsthand experience. His most recent book is “Regrets of a Nuclear Power Supporter—Things I Reconsidered while Living in an Evacuation Shelter” (Heibonsha Paperback).